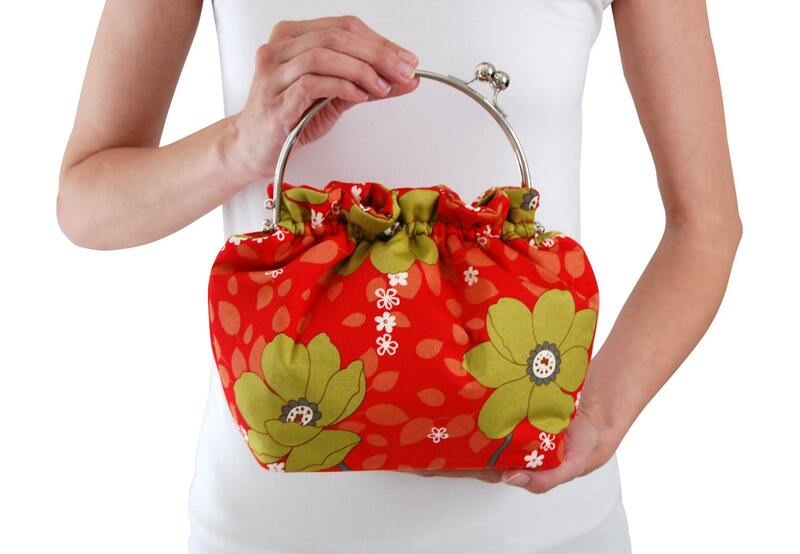 This red floral clutch purse is unlike any other. It is a perfect casual bag for everyday use, but its bright red color will stand out in a crowd! 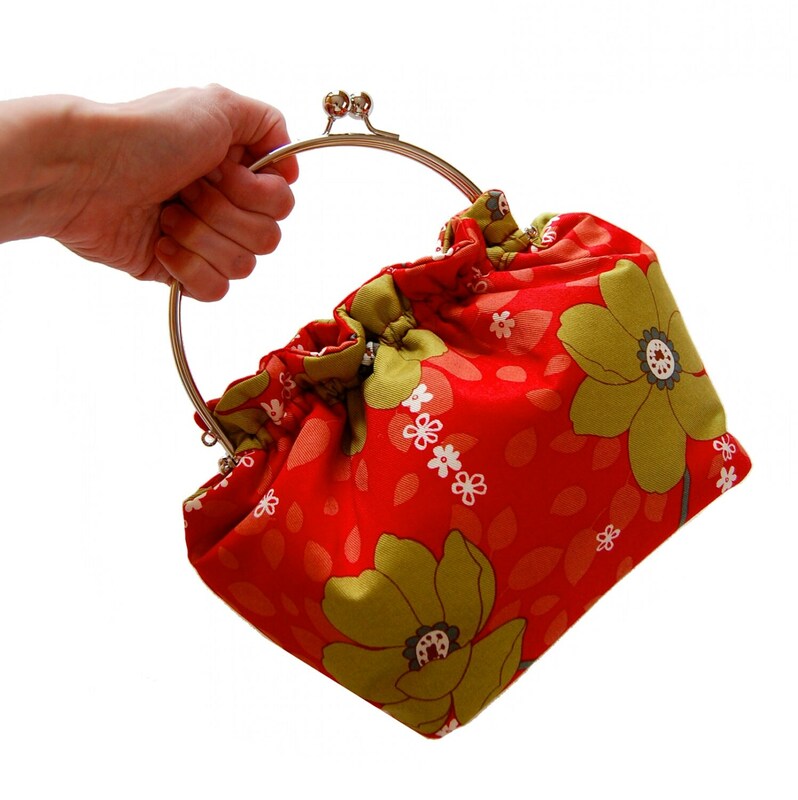 This fabric clutch purse with handle will quickly become your new favorite purse! 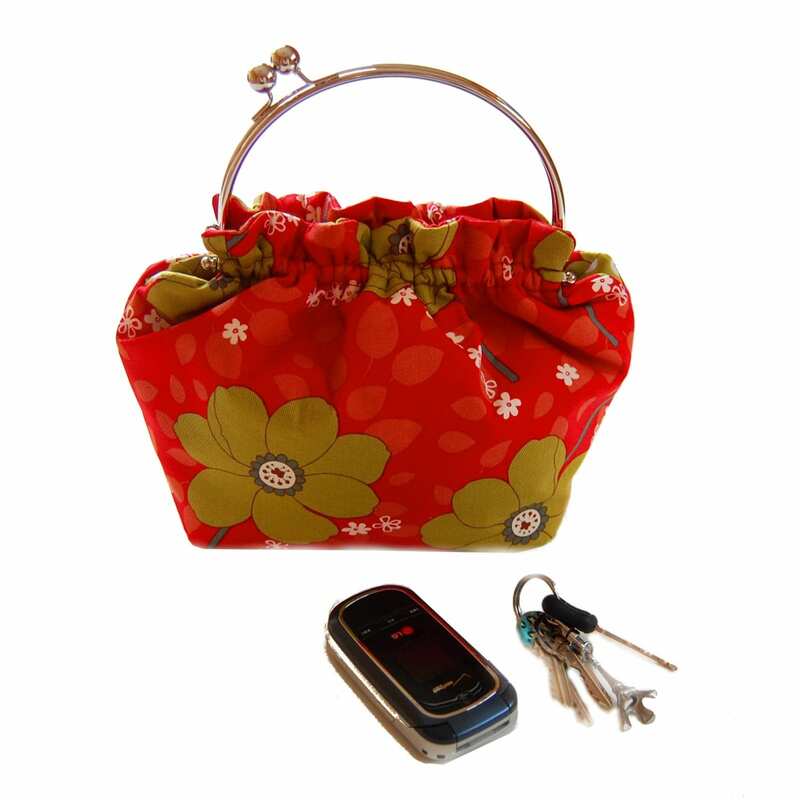 -The red floral purse has beautiful green and white flowers scattered on a bright red background. 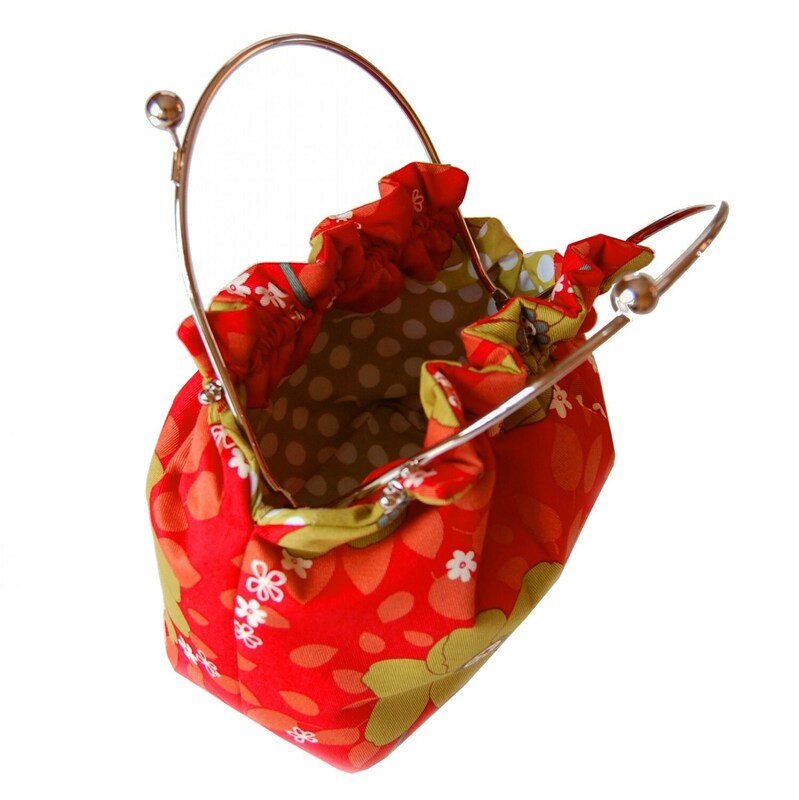 -I lined the small red handbag with a green and white polka dot print - such a great compliment to the colors on the outside of the bag and a fun surprise when you look inside. -The unique frame of this red everyday bag is also its handle. It is a shiny silver color. It closes in a cute clasp off-set to the side. The red purse has padding inside to give it a rounded, full look. -The simple clutch is compact and cute, but easily roomy enough to carry all of your essentials for a night out.